The National Association of Asian American Professionals (NAAAP) came to Cincinnati for their 25th National Leadership Academy from March 6 to 8. Designed for NAAAP chapter leaders from more than 20 cities in the United States and Canada, this marked the first time the non-profit organization hosted their annual leadership development training in Cincinnati. With innovative breakout sessions and expert panels that helped individuals develop their personal and organizational leadership skills, attendees said they felt motivated after having the opportunity to meet and build connections with leaders from across the nation with a variety of professional and ethnic backgrounds. NAAAP invited corporate employees and leaders to participate in a leadership symposium on Friday that focused on how to effectively run Asian American employee resource groups, which Xuan says attracted more than 70 group leaders from dozens of companies around the country. 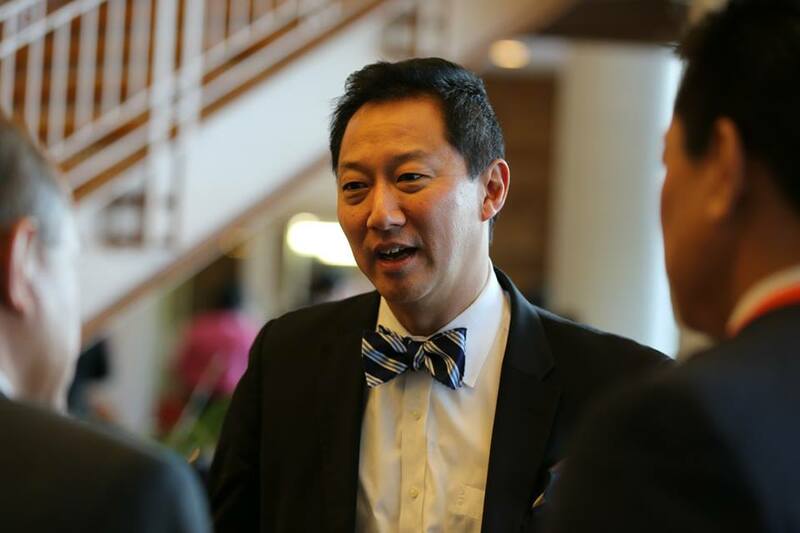 The two-day conference was opened by Dennis Hirotsu, Vice President of Corporate Research & Development at P&G, and University of Cincinnati President Santa Ono. Hirotsu gave brief opening remarks about the role companies have played in improving the diversity of Cincinnati, while President Ono gave a riveting speech about the progress and importance of embracing diversity and different leadership styles. Both speakers discussed the issues from a distinctively Cincinnati perspective. At approximately 2% of the total population, Asians make up less of Cincinnati’s regional makeup than the 5.6% national average. With Asians now making up 36% of all new immigrants to America, the largest of any group, NAAAP Cincinnati leadership sees a bright future, especially when considering their growing membership and increasingly active and visible local community. Xuan says she is also hopeful that the opportunities made available through NAAAP Cincinnati will help make the community even stronger. EDITORIAL NOTE: NAAAP Cincinnati hosted an open forum, called The Urban Asia, this past December. The event was moderated by UrbanCincy‘s John Yung, and focused how the Asian community can play a greater role in the many physical changes happening throughout the city. Those interested in getting involved with NAAAP Cincinnati can do so by contacting staff@naaapcincy.org.